SharePoint Server 2016 has been out there for a while. One big feature of it is the hybrid configuration with Office 365. To understand how it works, I built a lab environment based on Azure VMs and a trial subscription of Office 365. Here is how I did it. To build a lab environment for hybrid solutions, you need the following components in place. An Office 365 subscription. A trial is fine. A public domain name. The default <yourcompany>.onmicrosoft.com domain that you get from the O365 subscription won’t work in hybrid scenarios. You have to register a public domain if you don’t have one. In order to configure the hybrid environment, you must register a public domain with your O365 subscription. The process is like you go to your O365 subscription and kick start a setup process. O365 will generate a TXT value. You need to create a TXT record in the DNS of your domain vendor with that value, and then ask O365 to verify it. Once the domain is verified, the domain is register with your O365 subscription successfully. More details can be found here. You don’t need to create those DNS records for mail exchange such as MX etc. if you just want to test SharePoint hybrid scenarios. You only need to create them if you also want to test the mailbox features. The next step is to configuration AD sync between your on-premise AD and the Azure AD created with your O365 subscription. You can configure the Azure AD Connect tool to do it. And for a lab environment, AD sync with password sync is good enough. You can also try AD sync SSO if you have an AD FS to play with. Add a valid and unique email address in the proxyAddresses attribute. Ensure that each user who will be assigned Office 365 service offerings has a valid and unique value for the userPrincipalName attribute in the user’s user object. With the cleaning done, you can start to sync the AD. You should be able to see users account in the O365 admin center after syncing. Deploy the SharePoint Server 2016 farm. You can try the MinRole deployment if you have multiple servers. In my lab, I just deployed a single server. The following service applications are required for the hybrid scenarios. 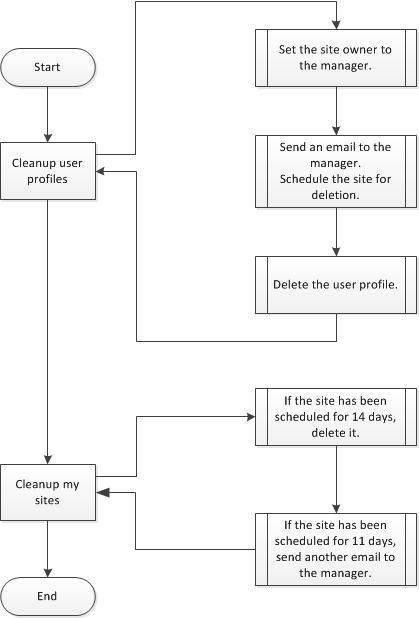 User Profile Service with user profile sync and MySite host. User Principal Name property is mapped to userPrincipalName attribute. Work email property is mapped to mail attribute. Once you have the O365 and SharePoint Server 2016 ready, you can start to configure the hybrid. It is fairly simple with the help of Hybrid Picker of SharePoint Online. You just need to go to SharePoint admin center of O365, click configure hybrid and pickup a hybrid solution, follow the wizard. If everything is ok, you will get the hybrid configured. Browse to an on-premise site, and you should see the app picker like the screenshot below. Next thing to try is to configure the server to server trust and the cloud hybrid search. Stay tuned. Sometimes you may want to programmatically control how the toolbar of an XlstListViewWebPart is shown on the page. If you search it on the web, you may find that a lot people tried to accomplish it with .NET Reflection, like what was shown in this post. It reflected into SharePoint assembly and called an internal method. Using this way may be able to achieve the goal, but it is a totally bad idea because it broke the basic .NET programing rules. When an method was declared as internal, it meant not to be called publicly. Calling it with Reflection, typically to SharePoint, may raise the supportability concerns. So are there a better way to achieve the goal? The answer is yes. For example, to hide the toolbar of an XlstListViewWebPart, you can simply use the following 3 lines of code. If you want to do other things with the toolbar, just replace the value of the 2nd line with the CAML of your toolbar. The view object in the above code is an SPView object. This way is simple, and more importantly we don’t use any internal method here. Here we reach the end of this post. But if some of you may want to know how this way works, you can find it out by yourself with a reflector tool and checking how SPView.Toolbar property was implemented. In my recent project, I got a requirement to export the search result of SharePoint 2013 to a CSV file. Initially, I think it was simple. I could probably extend the search result web part, generate the CSV on the server side and send it to the client. But when I looked at it in detail, I doubted if a search extension web part was a good idea. It could be way too heavy for such a simple requirement. It didn’t fit into our project very well too, because we are trying to leverage the new app model as much as possible, and to limit the server side customization as minimum as possible. Is it possible to get all search result in display template easily? Fortunately, I managed to figure out the answers of the above two questions. And I will show you how I did it in this post. // Get only the required the managed properties. // Only works with IE10 or later. With all the above, I can fulfill the requirement now. The code only works for IE10 and later. It could be extended to support other browsers. If you are interested in extending the code, feel free to fork it on Github. The remote event receiver (RER) and the app event receiver are new concepts of SharePoint 2013. Although there have already been many articles and posts on the web regarding to how to create a remote event receiver, how to deploy it etc., you may still be bitten by the subtle difference when you want to deploy your provider-hosted app which has a remote event receiver, just like what I experienced recently in one of my projects. The app of my project worked all right in the dev environment. I only hit the problem when I tried to publish and deploy it with all certificate and SSL on. I’ve spent the most of my time in the past two days to figure out what is wrong. So here comes some of my findings. An remote event receiver is an endpoint of a WCF service. But interestingly, when we create such a receiver in our app, we don’t have to either declare the endpoint in web.config or do so with runtime code. SharePoint knows how to talk to it. Given my limited WCF knowledge, I guess this would help to prevent clients other than SharePoint to figure out how to communicate with the services easily. Although SharePoint knows the binding and protocol used to talk to the RER, it was not documented, at least based on my search. In dev environment without SSL, it worked fine. But when turning on SSL, you may see an error like the following, although the url of the service can be opened in the browser. There was no endpoint listening at https://app1.contosoapp.com/AppEventReceiver.svc that could accept the message. This is often caused by an incorrect address or SOAP action. You may see the above code in many RER samples but may not know why it is needed, as it was only marked as something like “used by SharePoint app”. Hope you know the reason now. The HTTP request is unauthorized with client authentication scheme ‘Anonymous’. The authentication header received from the server was ‘NTLM,Negotiate’. What happened here is, based on the previous basicHttpBinding settings, there is no credential configured to be used for client authentication since the default clientCredentialType of basicHttpBinding is None. Obviously, when the client, here it is SharePoint, calls the service, it doesn’t provide any credential. So it cannot pass the Windows authentication. With all the above changing and configuration, I am able to deploy the provider-hosted app with the RER successfully and all functions work properly as well. To configure SharePoint 2013 to use Office Web Apps, there are two essential references. According to them, the configuration looks like very straight forward. However, the devil is in the details. Here, I am trying to list some issues that I experienced recently with the RTM version of SharePoint 2013 and Office Web Apps so I don’t forget them soon. When you install Office Web Apps on Windows Server 2012, you usually run the PowerShell script in the above articles to prepare the roles and features of Windows. That script doesn’t install .NET Framework 3.5 Core. However, at some points it looks like the Office Web Apps still needs the .NET Framework 3.5 Core. Without it, you may see the event error below. The only thing to notice is that Windows Server 2012 wasn’t shipped with .NET Framework 3.5. So you must have an Internet connection on the server so the core can be added successfully with the above method. In case Office Web Apps don’t work after you finish the configuration and verified everything including the WOPI zone, you have to check the error log of the Office Web Apps. The default location of the log is C:\ProgramData\Microsoft\OfficeWebApps\Data\Logs\ULS. It means the domain name or the host name of the SharePoint site is not trusted by Office Web Apps. You have to use the following PowerShell script to add the name into the host list. The name of the parameter may lead to some confusing. You may think it is the name of the domain which your SharePoint server belongs to, but it is not. For example, the name of your domain may be contoso.com, but the url of the SharePoint site may be http://sharepoint. In this case, you should put “sharepoint” instead of “contoso.com”. Based on my testing, when configuring Office Web Apps over HTTP, you have to configure the host list. When configuring over HTTPS, the host list can be empty. Again, the TechNet article may lead to some misunderstanding to this option. According to the article, it looks like this option should be True when Office Web Apps are configured to use HTTP, and False when they are configured to use HTTPS. However, it is not true based on my testing. This option is more like depending on the configuration of the SharePoint site. If the SharePoint site is using HTTP, this option should be True no matter if HTTP or HTTPS is used by Office Web Apps. If you see the “HTTPResponseCode forbidden” error in the Office Web Apps log, in most of case it is because of the incorrect setting of this option. At some points, you may see the following error in the Office Web Apps log. It is very like the Word document you are trying to open with Office Web Apps has been corrupted. You can upload a good document to test and confirm it. One scenarios which may create such a corrupted Word doc is that you choose to create a new Word doc in SharePoint site with Office Web Apps. However, for some reason Office Web Apps don’t work normally. In this case, you get a corrupted Word doc in SharePoint document library. With the announcement here, Office 2013 and SharePoint 2013 goes to public today. As an early beta participant, I can tell you that there are a lot of changes and new features in the new version and everyone who is working on Office and SharePoint should give it a try. Auto Update Statistics and Auto Create Statistics – ON or OFF for SharePoint 2010 Databases? Comments Off on Auto Update Statistics and Auto Create Statistics – ON or OFF for SharePoint 2010 Databases? Update: CTS complained that some customers turned ON auto-create statistics on content databases because of this post. If you think you should turn on this option on content databases after reading this post, please let me know by leaving a comment below. The key message in this post is, in most of cases you don’t need to change the default settings of these two options on SharePoint databases. In the extreme case where you have to change them, contact CTS for support first. If you ask any SQL DBA a question like, “should I turn on Auto Update Statistics and Auto Create Statistics on databases?” You’ll get an answer like, “Yes, definitely!” or probably “It depends”. But if we are talking about SharePoint 2010 databases, the answer is “It really depends”. In the official document, it suggests to turn off these options and explains why they should be turned off. But what it didn’t tell is how SharePoint will maintain the statistics if the options are turned off. Therefore, it could lead to some confusions like should we turn them off on all databases or just on some databases? should we manually maintain the statistics if we turn them off? etc. So let me try to explain how SharePoint maintains the statistics first. As explained in this whitepaper, SharePoint uses this Health Analyzer rule to maintain the statistics (unfortunately the whitepaper didn’t mention the name of this rule). By default, this rule is scheduled to run everyday and it is a repairable rule, meaning it has a repair action. What this rule does is very simple. It will enumerate all SharePoint databases in the farm and check if the database implements a store procedure, proc_UpdateStatistics. If so, it will call this store procedure directly. Otherwise, it will do nothing. So now the problem become simple. To find out on which databases we should turn on the options and on which we should turn them off, we just need to check if the database implements the store procedure. If it implements the store procedure, means it has its own way to maintain the statistics and doesn’t rely on SQL server. So the options can be turned off. Otherwise, the options should be on. The only exception is the crawl db of the SharePoint search service. It implements the store procedure but the two options are turn on as well. I am not sure if it was intended to be set like that or what. So let us go back to our original question, should we turn on or off the two options on a SharePoint 2010 database? My answer would be it depends on which database you are talking about. If the database knows how to maintain its own statistics, the options should be turned off and SharePoint will take care of it. Otherwise, the options should be turned on. The following is a flowchart I drew according to the implementation of this time job. You may have found that Document ID Service is a very interesting feature. Sometimes you activate it and it just works as expected. But sometimes you activate it and it doesn’t work immediately. A typical example is to activate it on a team site and a publishing portal site. On the team site, it works immediately, but on the publishing portal site, it doesn’t work immediately. So what is the reason behind? The reason why this feature works like that is related to how it is activated. Basically, when we activate this feature, it will check if the current site collection is a big site or not. If the site collection is not big, it will just enable the DocId on the site collection and register a work item for the Document ID Assignment timer job (DocIdAssignment). But if the site collection is too big, it will just register a DocIdEnableWorkItem for the Document ID Enable/Disable timer job (DocIdEnable). So to big site, it relies on the DocIdEnable timer job to enable the DocId. But you may find even if you run this timer job immediately after the feature is activated, the DocId is not enabled. It is because when the DocIdEnableWorkItem is added to the site by the feature activation, it has been specified to be executed 30 minutes later to avoid the potential conflict. You can check the real scheduled delivery time by querying ScheduledWorkItems table in the content db. So the DocId will only be enabled when you run DocIdEnable timer job after the scheduled delivery time. For example, suppose you activated DocId feature on a publishing portal at 8:00am, the DocIdEnableWorkItem was scheduled to be delivered at 8:30am. If you ran DocIdEnable timer job before 8:30am, nothing really happened. Only when you ran it after 8:30am say 8:35am, DocId was enabled then. The final question is how big a site collection is big? The boundaries are maximum 1 web/site, 40 lists/web and 20 doclibs/web. A publishing portal is too big because by default it has 3 webs. The OOTB document center is OK because by default it has 1 web, ~30 lists and ~15 document libraries. The numbers are hard coded and, so far as I know, there is no way to change them. Why SharePoint 2010 Not Use Kernel Mode Authentication in IIS7?